Hello and welcome to Just Like A Breeze. This site is dedicated to my beautiful Australian Shepherd dog, Rozate Mistaken Identity CD RA HTM.S ITD, aka 'Breeze', her granddaughter Sharam Sunburnt Sky, aka 'Sky', and her sister Jiji the Cat. Please take a look around to find out more about my wonderful girls and keep up-to-date with our achievements. 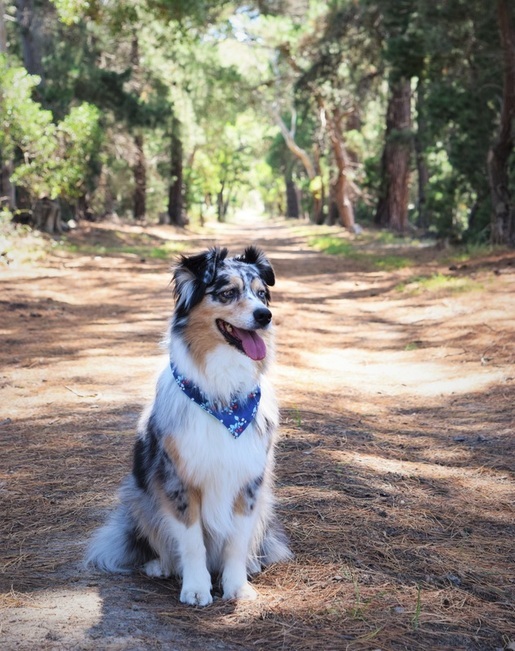 Learn more about the wonderful Australian Shepherd breed and enjoy your stay. I also run a pet portrait and graphics service, as well as a product review blog. For more information please click on the links in the navigation menu above. We are currently taking a break from performances but will debut again soon! For more information about the MCF demo team, please click here. For more of our video reviews, please click here.